We’ve recently received a rather specific inquiry from a reader wondering if there is any way to increase the size of the keyboard on an Android device, since due to a disability he couldn’t press the small virtual buttons (and in fact my own mother, with no disability whatsoever, suffers the same problem). If you have an issue of this sort, whether because you have bulky, clumsy fingers after half a lifetime tending radishes in the garden or simply because deep down we’re really creatures of habit, there are solutions such as Big Old Keyboard. 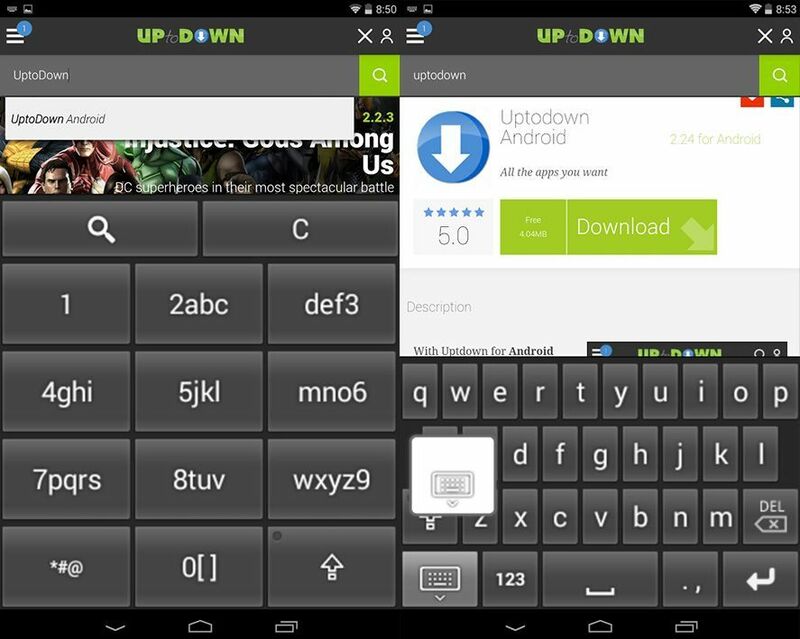 This is a virtual keyboard for Android whose major advantage lies in the option to set the keyboard to look like a classic keypad from old, pre-smartphone-era mobile phones. In other words, 12 keys that give you all the letters of the alphabet, numbers, and main characters by pressing the same button several times. And obviously, with the change the size of the buttons increases massively compared to normal keyboards. Once you install it you’ll need to go to Settings > Language & Keyboard. Once there, find Big Old Keyboard in the list and tick the box to set it as your default, then untick all the other boxes (if you’ve never changed the keyboard, it will be ‘Google keyboard’ by default). With the change, you’ll lose your predictive text, but you’ll gain much greater ease when pressing your keys, which for lots of people will be worth it. It’s not the first time we’ve talked on this blog about utilities to improve accessibility for people with difficulties viewing or handling their Android device. For instance, Wiser is a launcher that completely changes the Android interface to simplify it and make it much more accessible for less advanced users. Likewise, there are other typing alternatives that we’ve discussed here before, such as writing via voice-dictation.